Hope you are having a safe and blessed spring. Where I live, we had a huge blizzard last week. Praying it was our “onion snow” and we are done for the season! 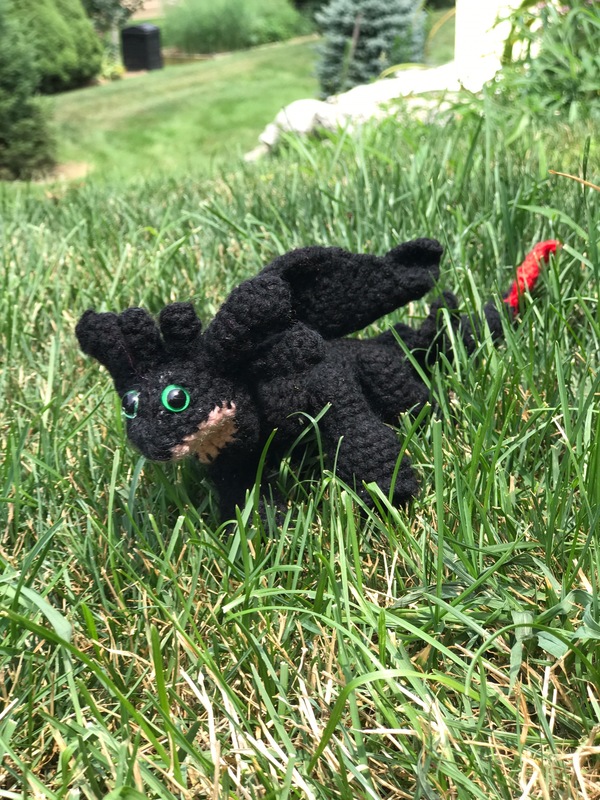 My school semester keeps me very busy and I will be studying abroad in London this summer so there is quite a bit of preparing for that as well but I’m finding some time for projects and I’d like to share one with you today! 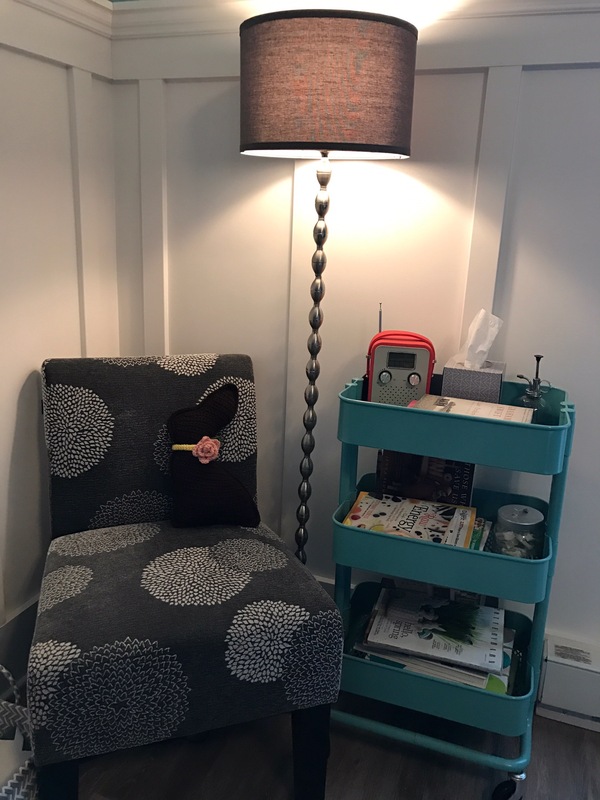 The pattern is easy to follow and has lots of pictures! 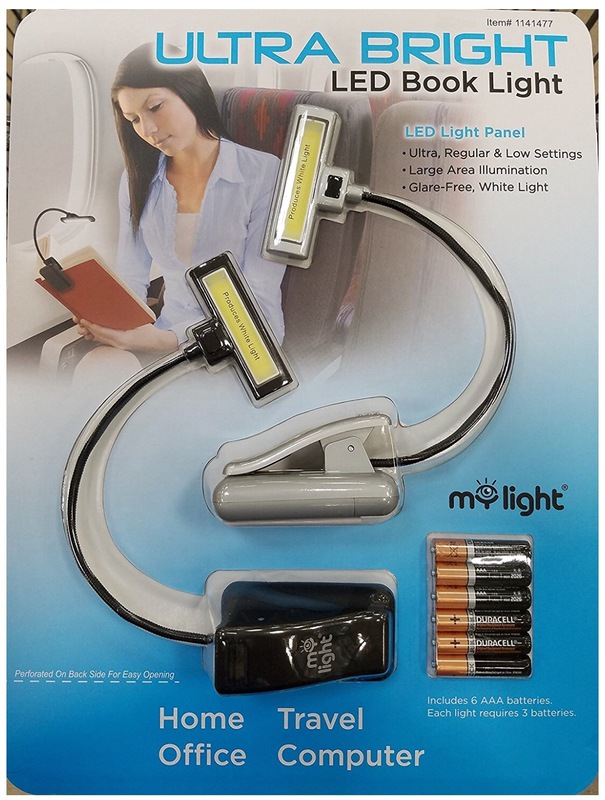 I am always grateful for lots of visual aides! I made three of the bunnies with yarn I had around. 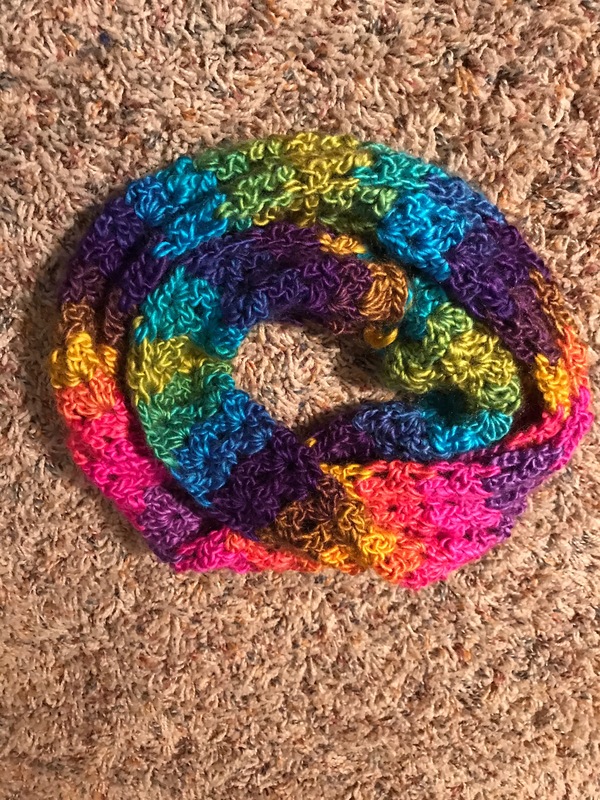 I used Stitch Studio by Nicole in pastel green and soft purple and Lion Brand DIYarn in Hot Pink. A couple of weeks ago, I shared about Elliot’s request for a ninja turtle blanket. That was easy compared to the request of his big sister. 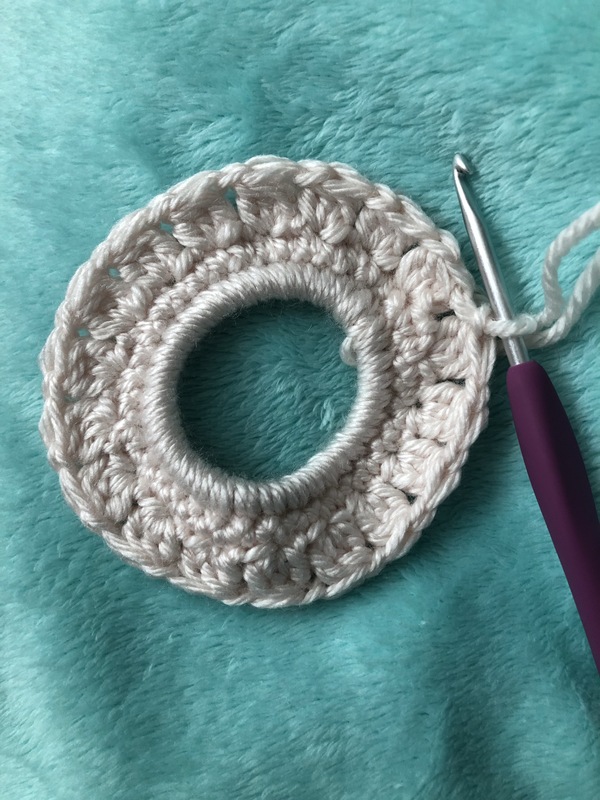 I found this amazing tutorial on making 3D bows as you crochet. 🙌🏻 Win! 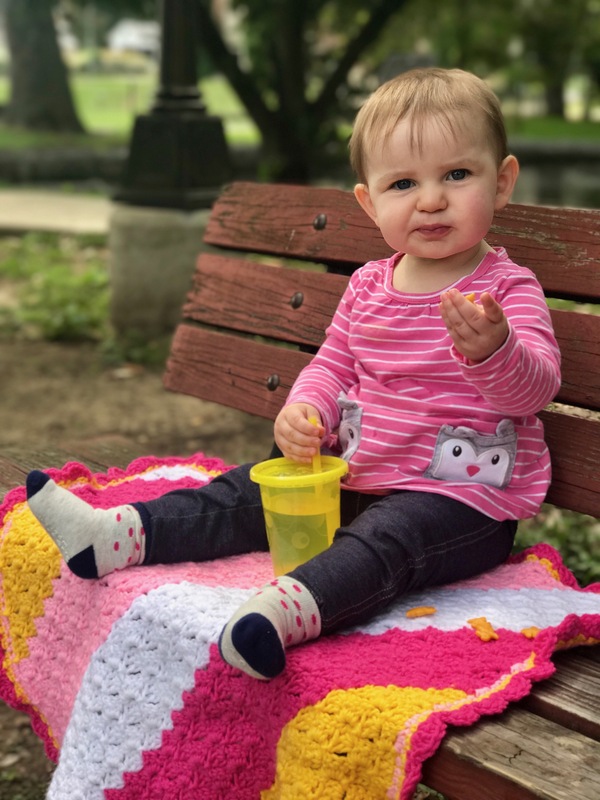 I was insanely happy I didn’t have to crochet and sew several bows onto the blanket. The bows were actually stitches instead of a appliqués, making it more secure. Sometime in November or December, Norah-girl added one request: her name. She wanted me to somehow incorporate her name on her blanket. 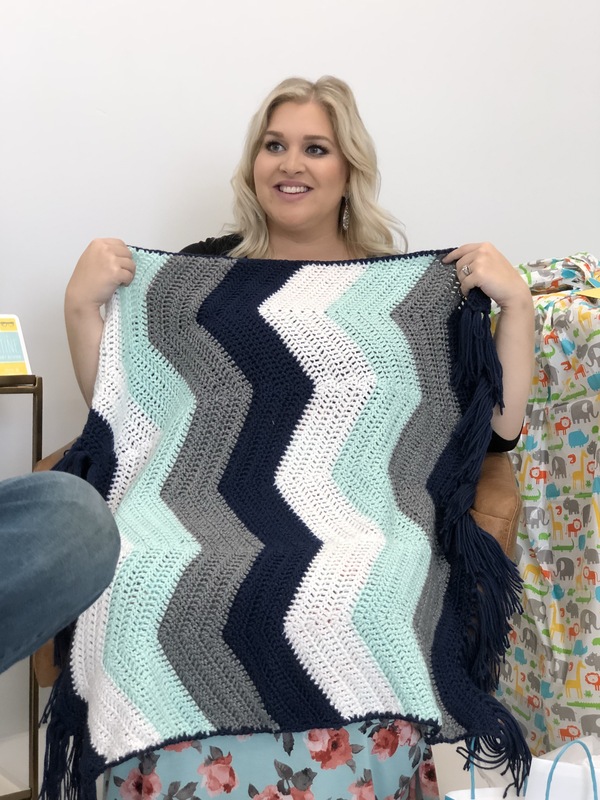 There were a number of ways I could approach this but I was looking for the way that wouldn’t be too hard and had a minimal amount of ends to weave in. 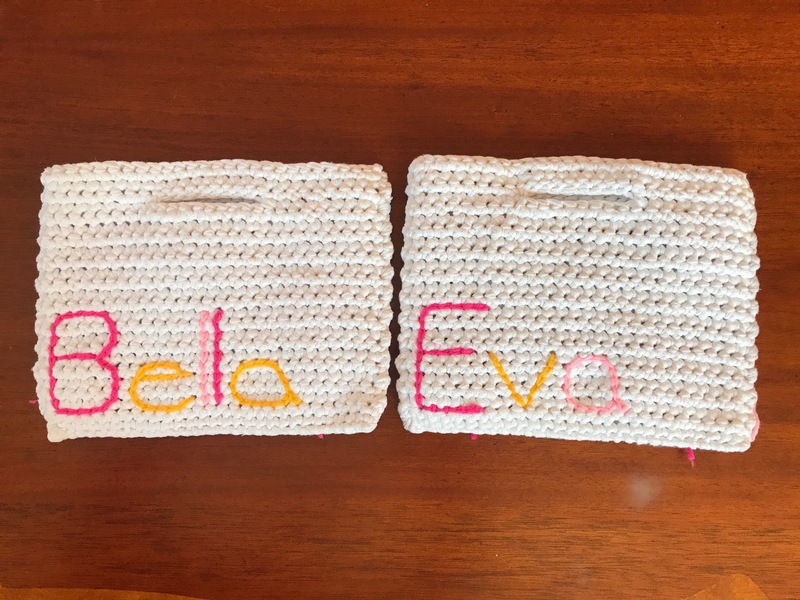 I’d seen a lot of patterns spell words with bobbles and I went to work finding letters and creating a custom graph to meet the specs of her blanket. The bobble section took a lot longer than I expected. And I had to frog it at least once because things weren’t lining up properly. But it was an incredible feeling to finish it! I did Norah’s name with hearts on either side. 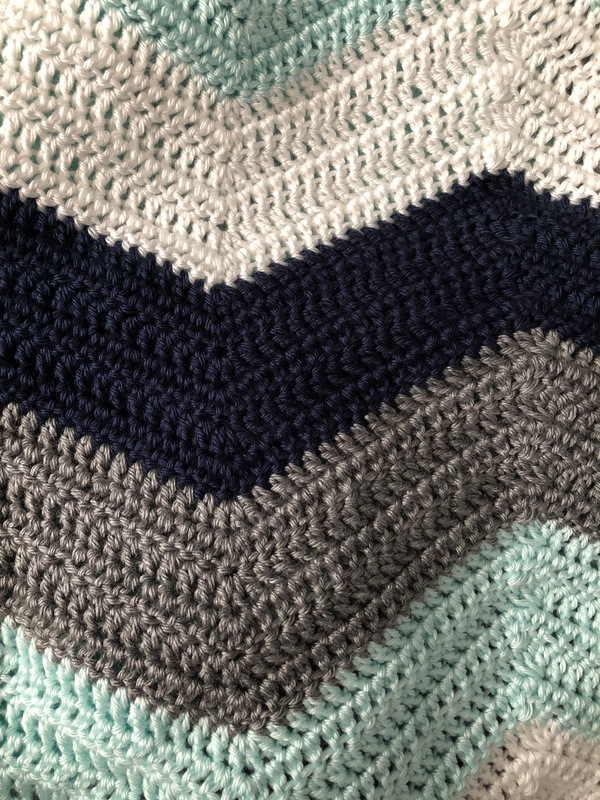 Once the main blanket was complete, I added a teal border. Norah had asked me after I had the yarn about what color I was using and asked if teal could be incorporated. It was her third and final request and I felt like the genie when I gave her the blanket of her dreams. 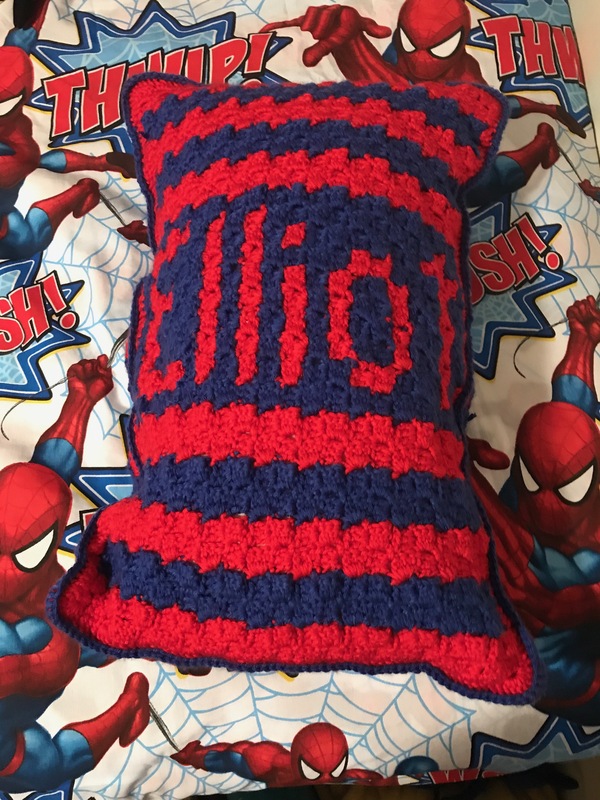 So back in September, my sweet buddy, Elliot, asked for a blanket for Christmas. But not just any blanket. He wanted one with ninja turtles. Ninja freaking turtles. So I went to my trusty DIYarn from Lion Brand and order up a bunch of green and some orange, purple, blue, and red. 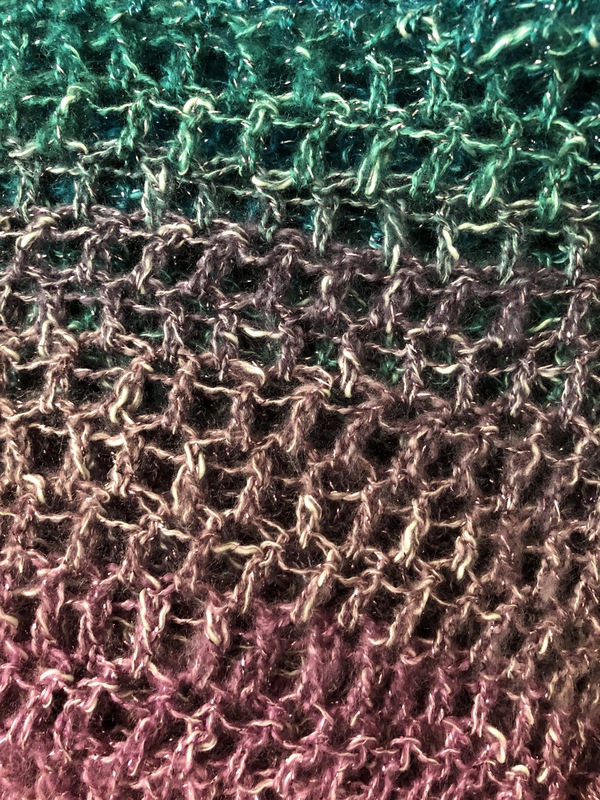 I love DIYarn because of the vibrant colors, softness of the yarn, and the affordability. 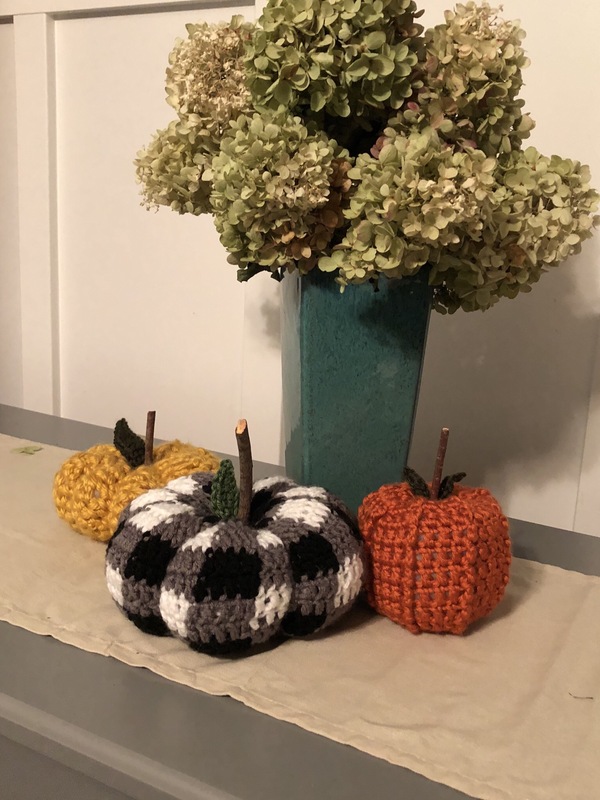 I used double crocheted all the way through the project to keep life simple. I used an L (8mm) hook. Clover Amour hooks are my fave! 🙌🏻 I did about 100 dcs per row. The green blocks were 12 rows and the colors were 6. 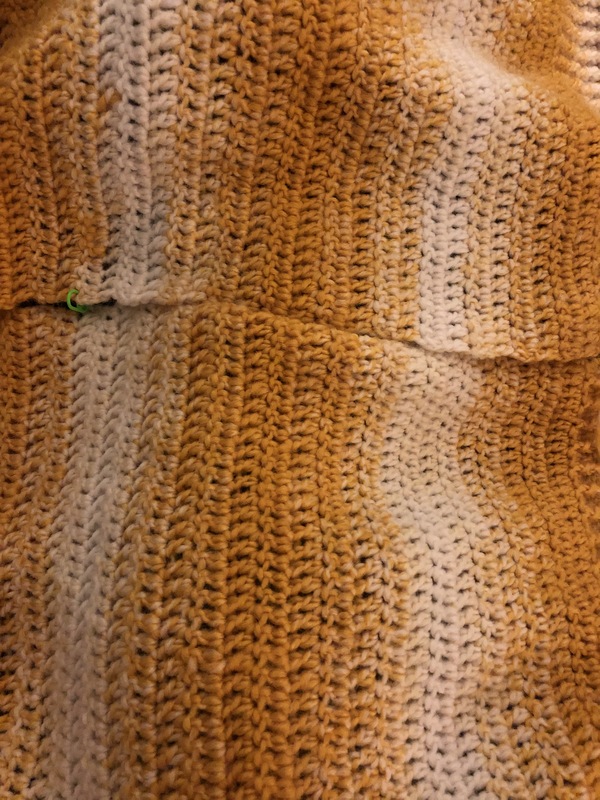 I also did an sc border, changing colors to match the striping. I thought I had it finished and it was, in my mind. Then I just felt like it needed something. What could I do to really make it look ninja turtle-y, not just striped. I saw some TMNT blankets on Pinterest that had eyes. I played around with some black and white yarn until I got the circles just right. I used a smaller hook, maybe a K. (I forgot to write it down 😱) I did 10 dc in a magic ring. I changed to white and did a dc inc in each. I joined and left a long tail to see he appliqués. I tried to do them kind of randomly so they weren’t all in a perfect line. The eyes really made it come alive and truly made it look like a ninja turtle blanket. Hopefully, I’ll write up on some other recent projects soon! 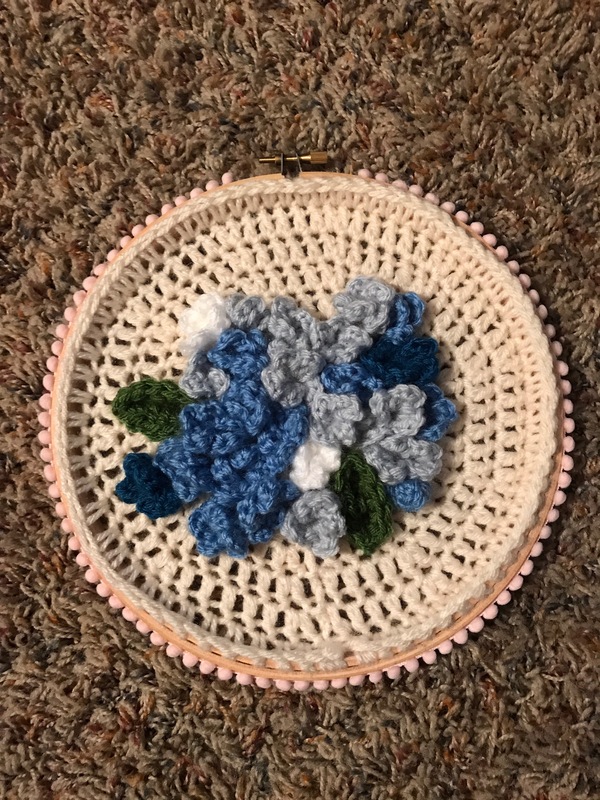 I thought it might be fun to write a round up post of some of the gifts I’m making. All patterns are linked to their original sources. The photos used are property of their owners and are only here to give a visual. No copyright infringement intended. These beautiful cabled mittens from All About Ami are so beautiful! I decided to double strand them and go up to a 5mm and 4.5 for my hooks. 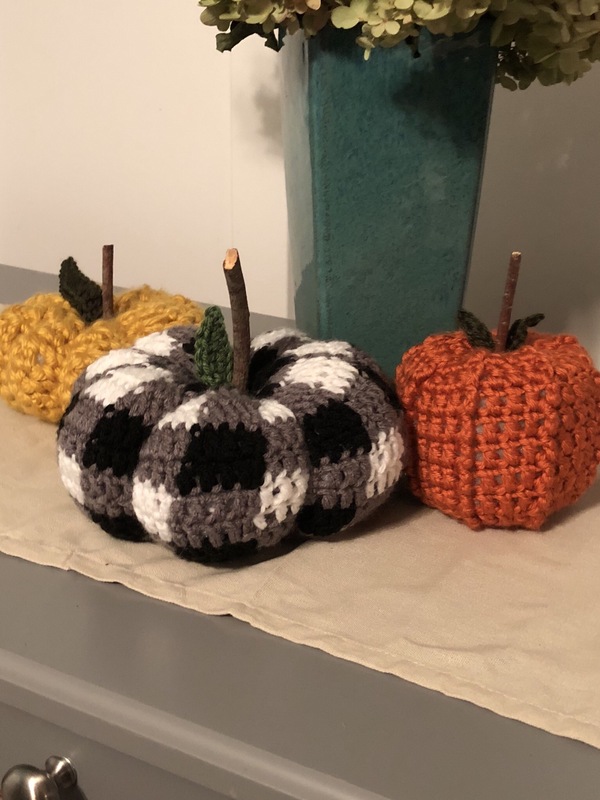 Using 2 strands of yarn made these so thick and cozy! I used Red Heart With Love and Lion Brand Touch of Alpaca. I also did my cables going the opposite way on one mitten to make them mirrored. You can do this by placing the second two tcs behind the first two instead of in front of them. It’s a little trickier but I thought it was worth it. I am doing all kinds of kimonos and cardigans for my sister and cousins. 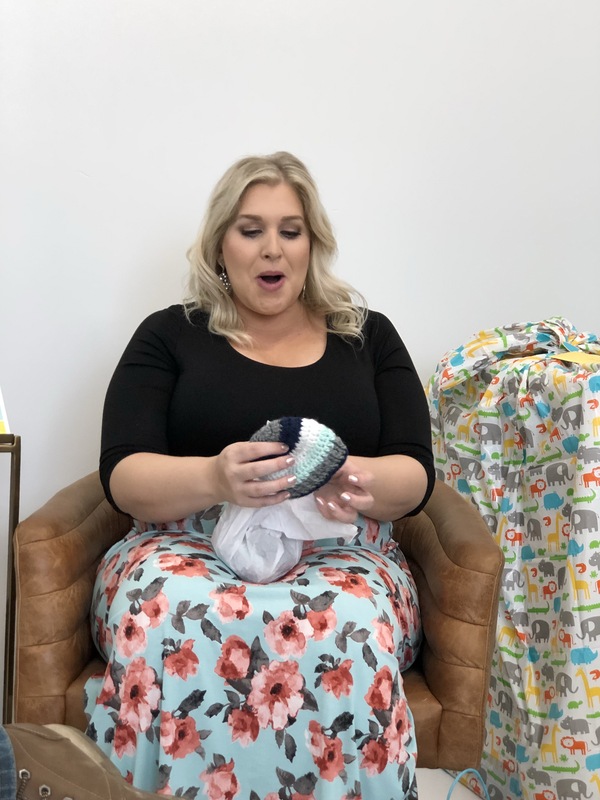 The Lana Kimono,Cappuccino Cardigan, Everyday Cardigan, and Cozy Cocoon Cardigan by Sewrella are all in the works using the recommended yarns for some and what I had and made work for others. 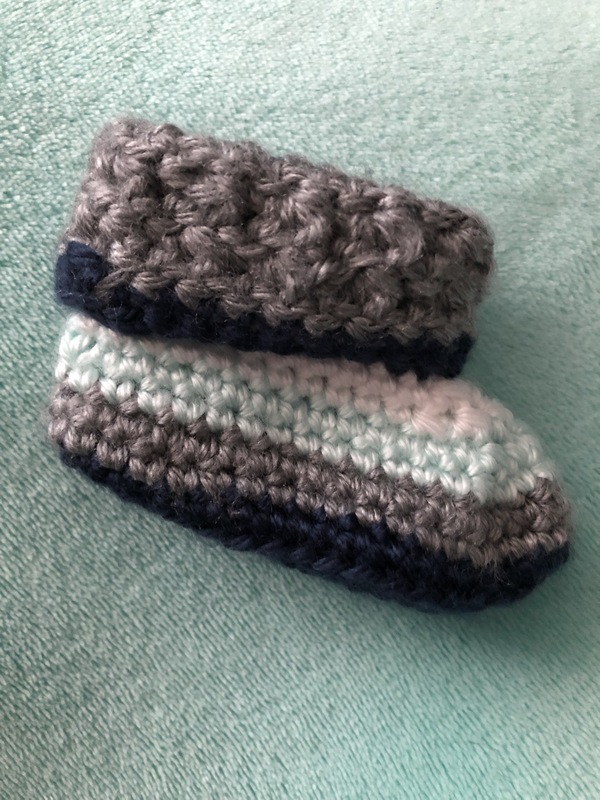 😉 These patterns are all super easy, mostly just double crocheting and a little seaming. 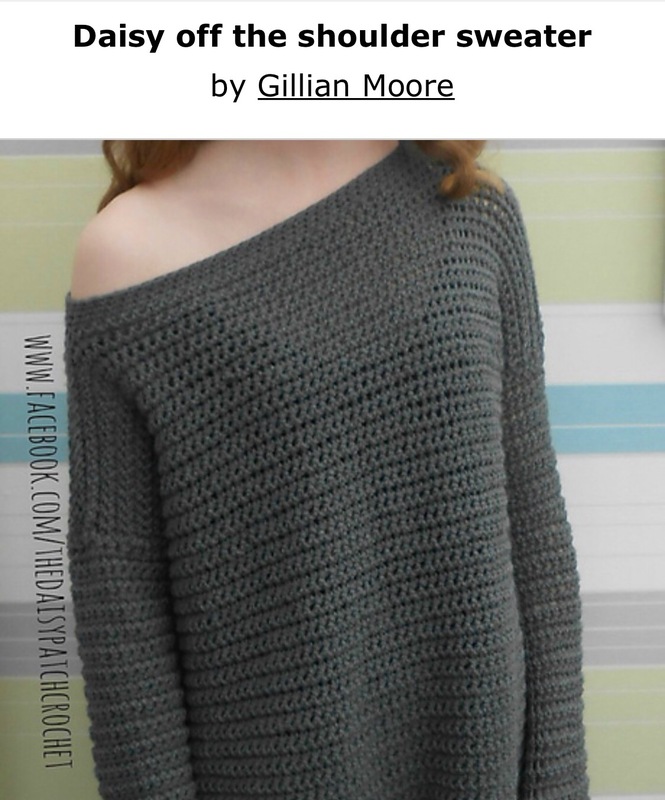 I have one of the cocoon cardigans done and I’m adding it to my list of things I need to make for me at some point! Also, they are super adjustable to size and preference. Norah and Elliot asked for blankets for Christmas and how could I resist? I have already talked about Elliot’s Ninja Turtle Blanket on my Insta and my last WIP Wed post, but here it is finished in all of its turtle glory! I also recently came across these gorgeous pillows by Two Little Birds on Etsy. Seriously, I just can’t handle how amazing they are! I am going to make Brixton Monogram Initial Pillows for two friends, one of whom is getting married so she is getting a new last name soon! I will also be doing the Sutton one for my mom. And I think I need one too, after Christmas! Are you making anything for the holidays? I’d love to hear about it! Thanks for stopping by! 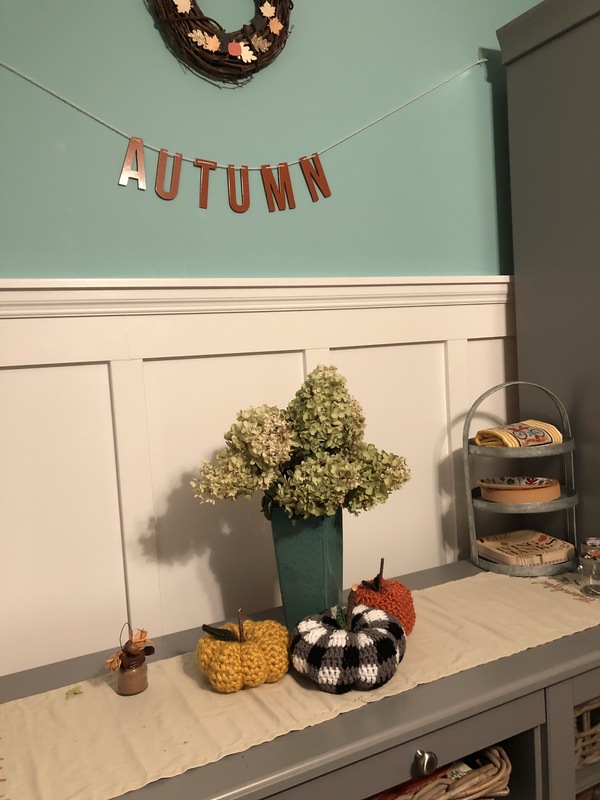 WIP Wednesday is coming soon! October was a crazy month. But as per my norm, I had the constant cycle of projects. 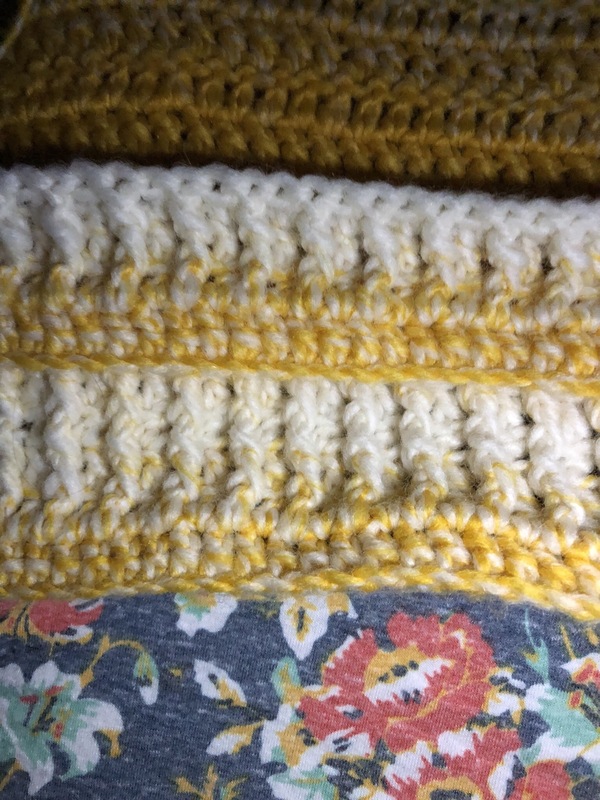 I worked on panels for the mustard cappuccino cardigan for a friend for Christmas. The colors are matched up beautifully (so far) and it makes me so happy! 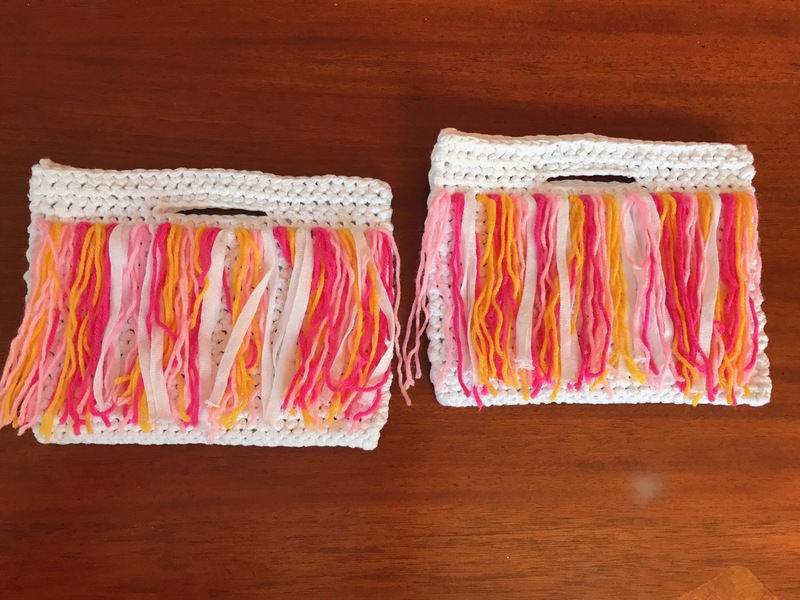 🙌🏻 I’m not sure what I did wrong or if I just crochet tight but my panels are too short compared to the dimensions (by a lot) even using the same yarn and hook. I added a stitch marker to the halfway point and adding the same number of dc rows as the first half and I’ll do he samenumber of ribbed as the pattern says. (Hope that makes sense 😜) But it’s coming along well! This sweater is so cozy! I need to add it to my “me” project list! I did most of a ninja turtle themed blanket for Elliot. That’s what he asked for for Christmas so yeah. There are times I can say no to things when it’s a respect or safety issue but I can’t resist him asking for something crocheted. 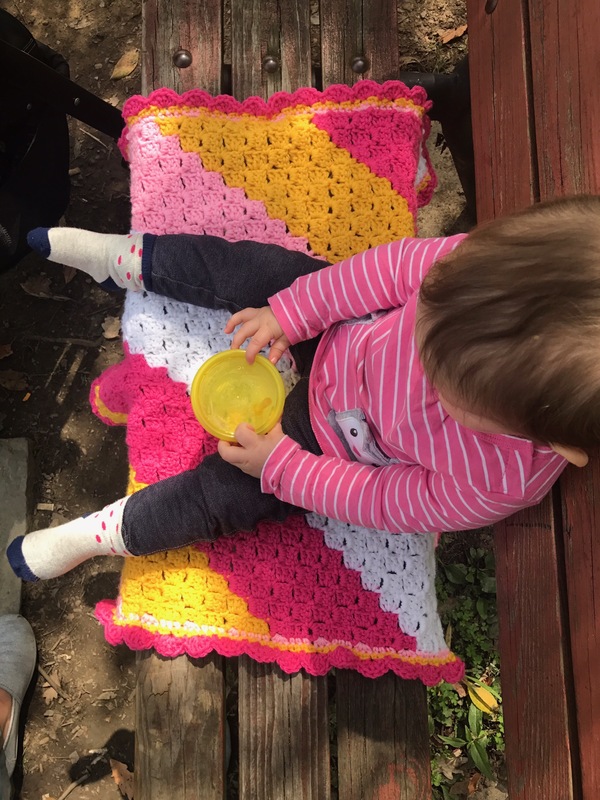 😍 Norah also requested a blanket. I’m thinking a c2c with some emojis and maybe her name/initial. 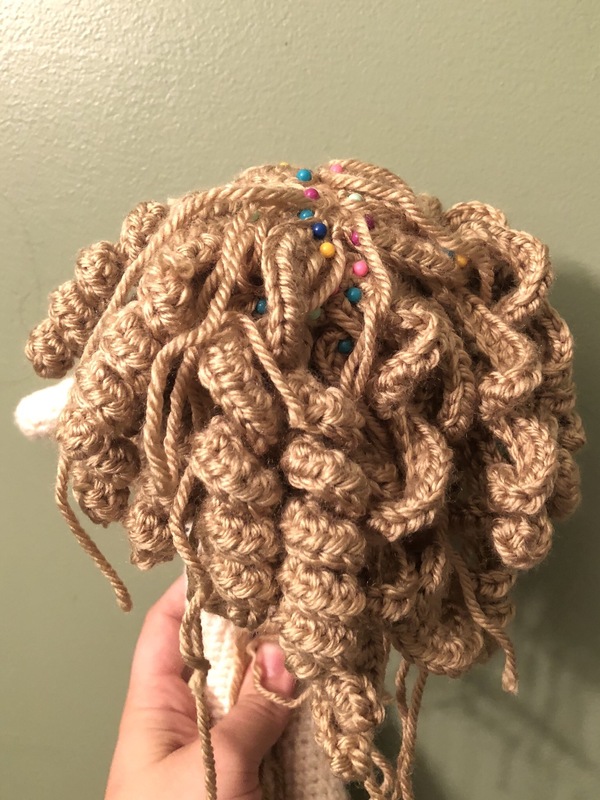 I have a lot of scrap yarn that I could use for it but I’m not totally sold on the idea. Back to TMNT. I used green, red, royal blue, orange, and purple LB DIYarn to create wide green stripes with narrower colored ones to represent the turtles. I need to finish the last green stripe, sc around the trim, and sew in my ends. I can’t wait to give it to him! And I finished some projects as well. 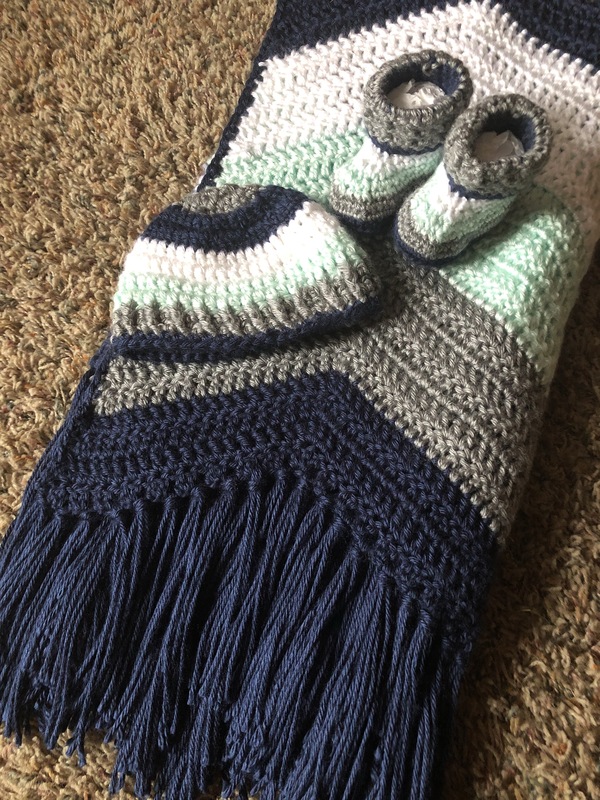 The layette for my friend’s baby boy. 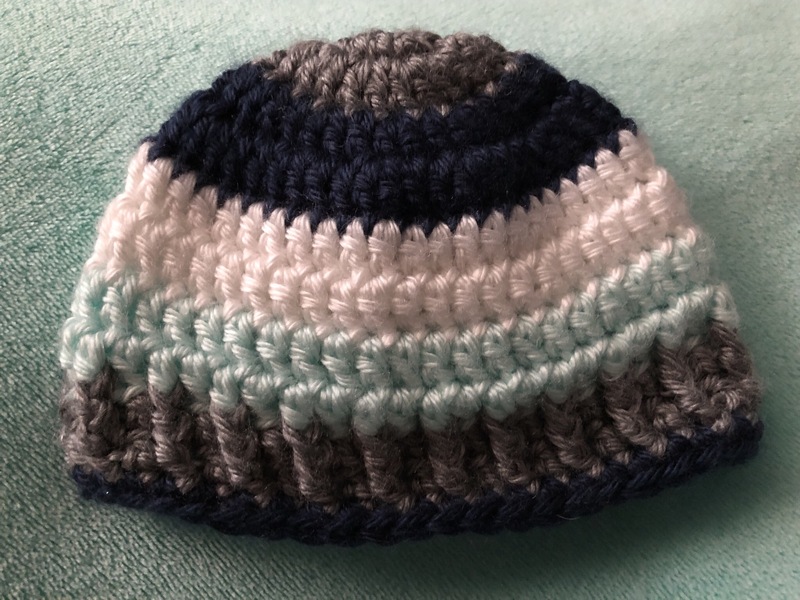 I still want to do a tie hat when he’s born but I ran out of time. 🙄 She and her husband absolutely loved it! This has been a busy month as I’ve transitioned into my school year and continue my jobs in before/after care and babysitting. But I’ve been project happy too, as always. I started and frogged a sweater I found on Ravelry. 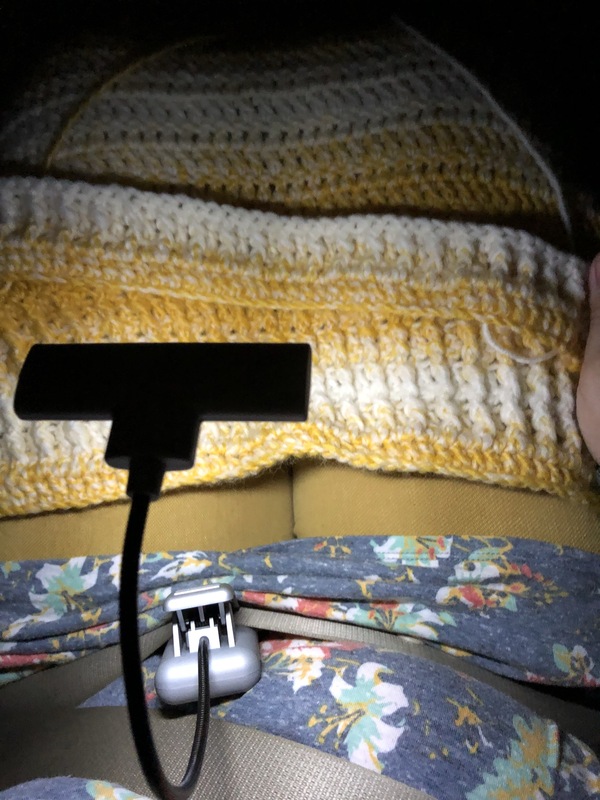 I’m doing it in the same yarn I did one of the Lana Kimonos in (RH With Love in charcoal). I also found out it is a friend’s birthday tomorrow and I will see her on Friday. 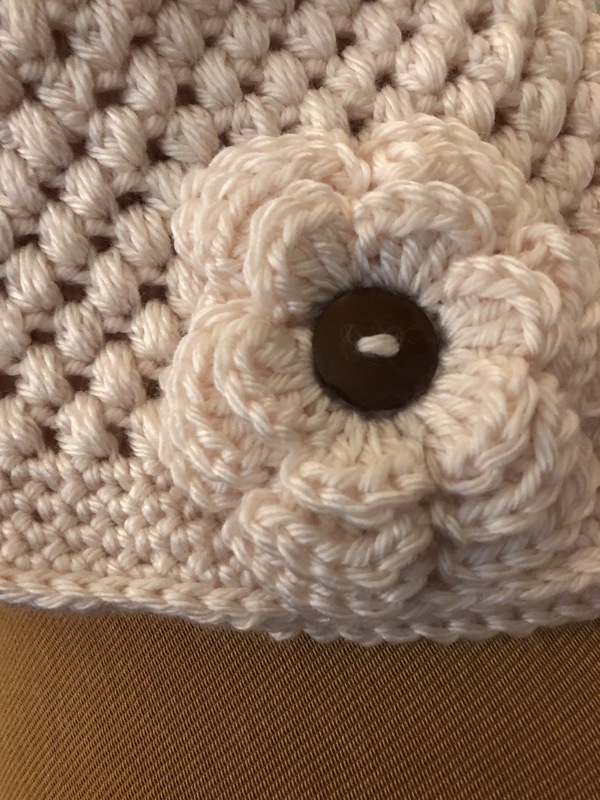 I’m making her a puff stitch bun beanie by Sewrella. Instead of doing a chained circle though, I’m working over a hair tie to make the opening elastic. I’m using RH Soft in off white. Final bit of crochet fun, I glazed a yarn bowl on my birthday a few weeks ago and just got it today. 😃 I’m so pleased with how it came out. The base color is coral and there are lacy flowers in white, dark coral, and mint around the outside. 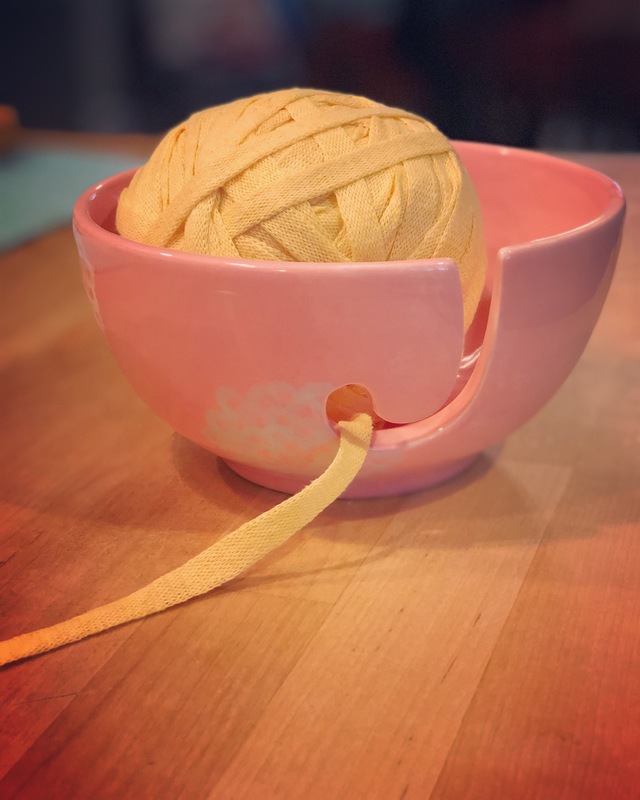 😍 I’ve never used a yarn bowl so I’ll let you know my thoughts once I’ve used it a while. All for today, hope you enjoyed! This lovely Labor Day weekend, my parents decided to go away to visit my sister and have one last summer getaway. That left me with a house to myself, some homework and housework, and crochet projects! Y’all know I have a lot of ongoing projects. 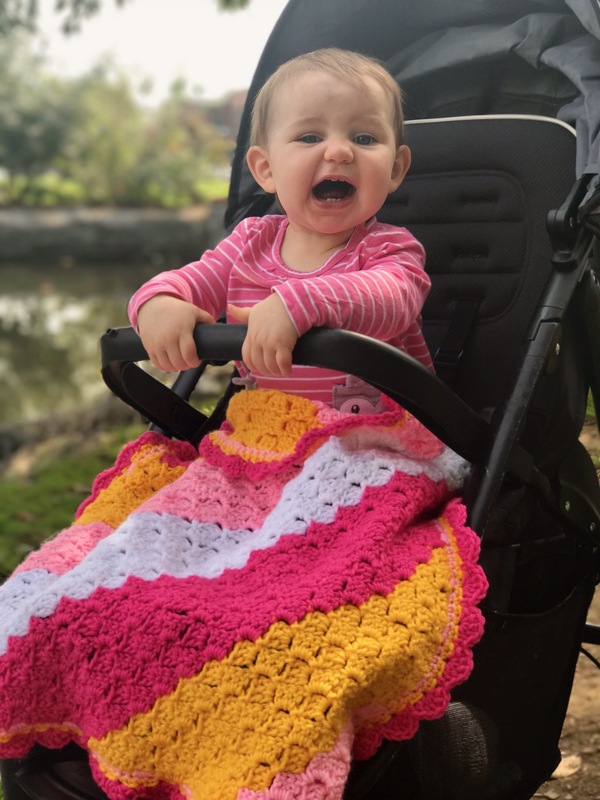 I wanted to knock off a few things from my current and upcoming list, including my Happy Yarn Mail. I LOVE Happy Yarn Mail day, if you didn’t already know that. 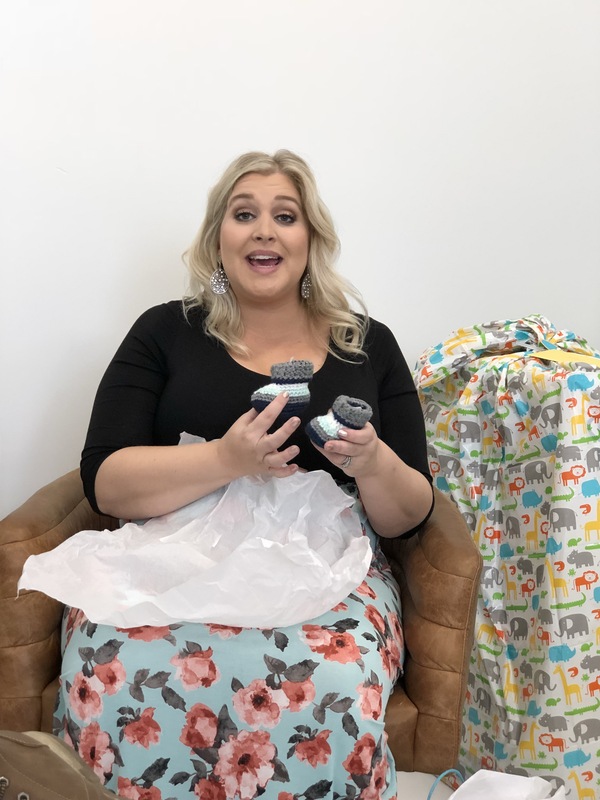 Last week, I did a live unboxing of my HYM for August which was really fun! I never did any kind of unboxing video before so maybe I’ll make it a habit? I dk! So I’ve been getting HYM since it started in March of this year. 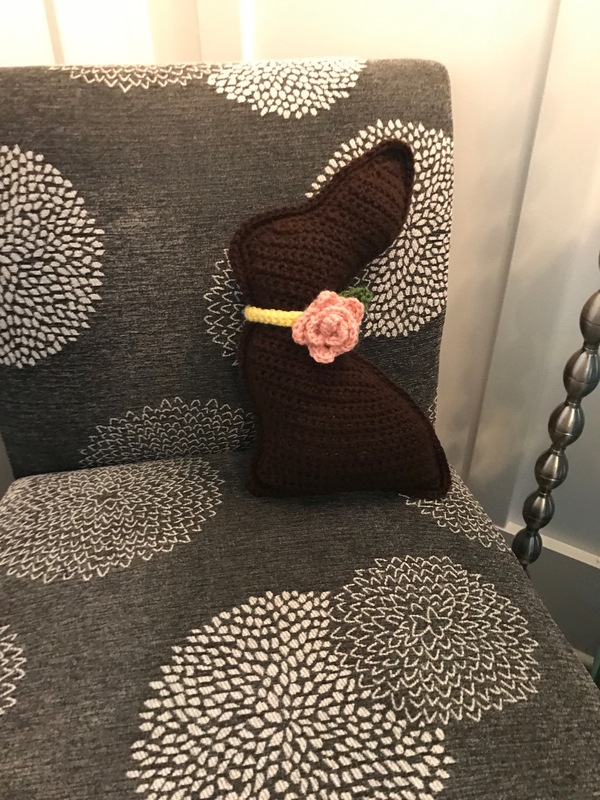 March’s pattern was this ADORABLE chocolate bunny pillow. I took my HYM to Virginia over Easter break when I had my annual visit to Busch Gardens. My grandparents take me in the spring because I love roller coasters. 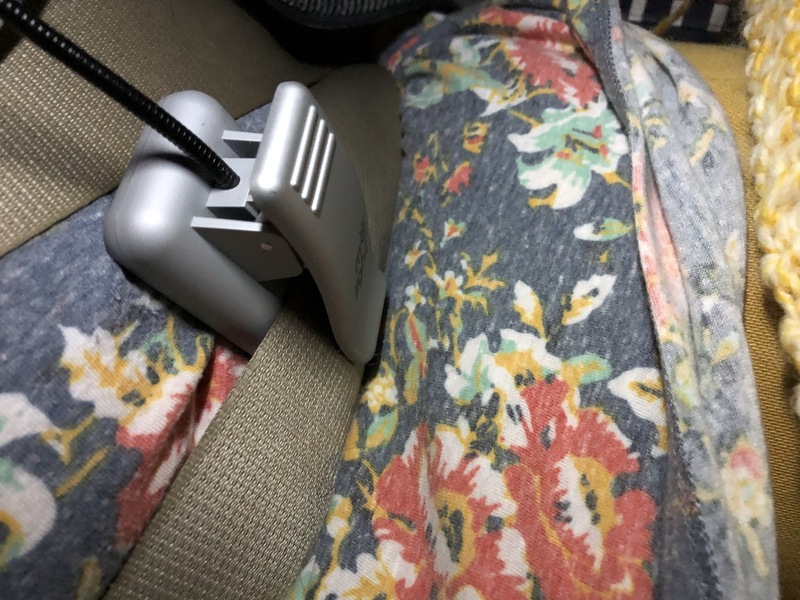 I knew I’d have a lot of car time to work on projects and that was one of the ones I had along. We put the little bunny on the chair in the kitchen for Easter Sunday and my family thought she was adorable. Well then it was the end of the semester at school and I had all those birthday projects happening (some still in progress) so even though I was so excited to get a new project with everything I needed inside, I just was so busy that I didn’t get to do that months. The pretty sprinkled boxes stacked up (although the water bottle, tumbler, notions bag, and sunglasses were used quite frequently) and it made me sad that I hadn’t finished so many of the projects. Then the other week I decided, I have four days off so I’m going to do four projects among all of the other things I want to accomplish. I only got 3 done, but I still feel pretty accomplished. Here they are. 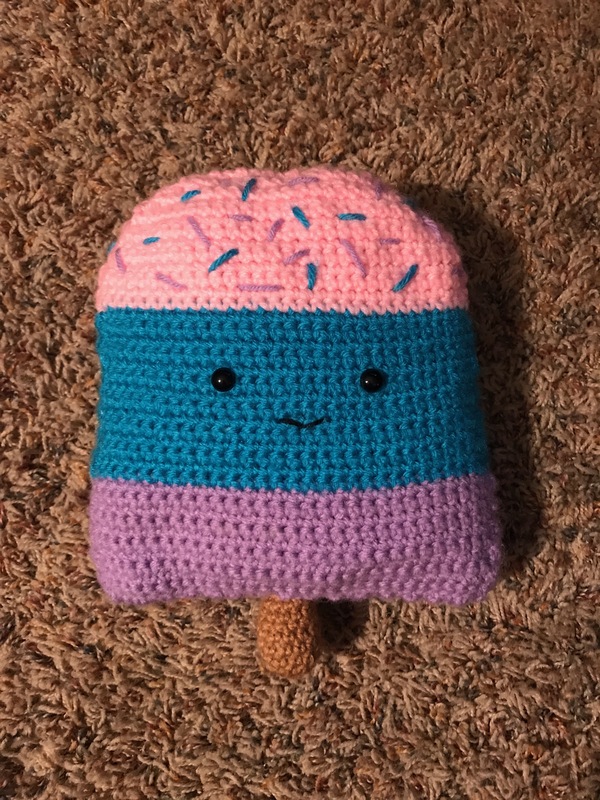 The popsicle pillow, doesn’t this thing remind you of a Shopkin? The prismatic scarf, I love this thing! Now if you follow HYM, you know I skipped a project (other than the patriotic bear). But that’s a really good story so I’ll save it for another day. 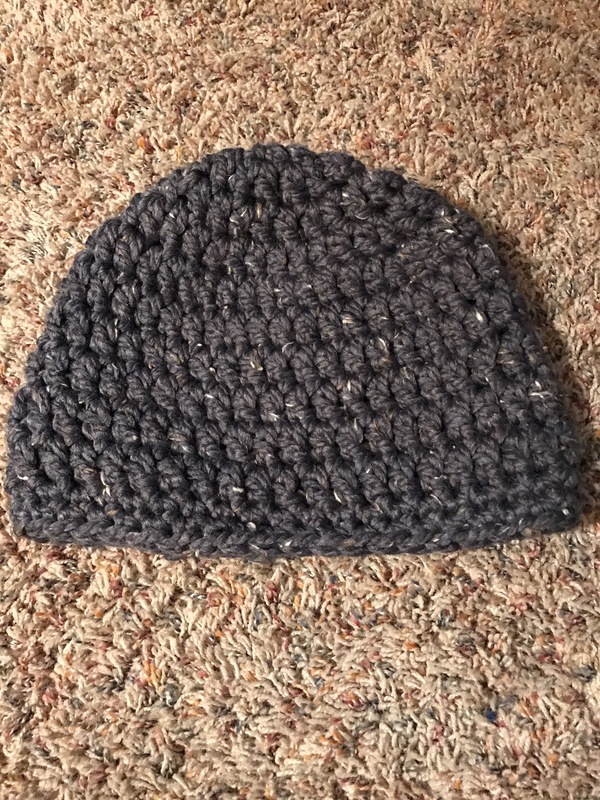 I also made a slouchy beanie to put away for a birthday gift in December. Gotta start tackling the holidays and birthdays from November through February. I have about a dozen birthdays in that span in addition to Christmas. Some will be crocheted and some will not, for my own sanity. Also, I did decide I’d rather do monthly WIP Wednesday post. I’ll include photos and updates on current and upcoming projects. However, make sure you follow my Insta to stay in tune to what I’m up to because I will do brief updates there through the month! Elliot is a really caring boy, very sensitive to others’ feelings and needs. He is goofy and so so so sweet. 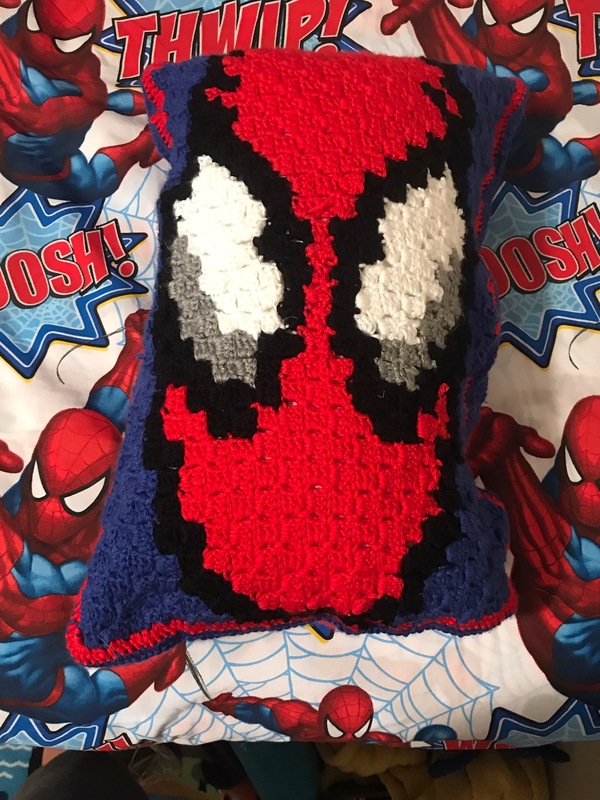 For his birthday, I followed the pattern and made him a pillow and a friend as well. 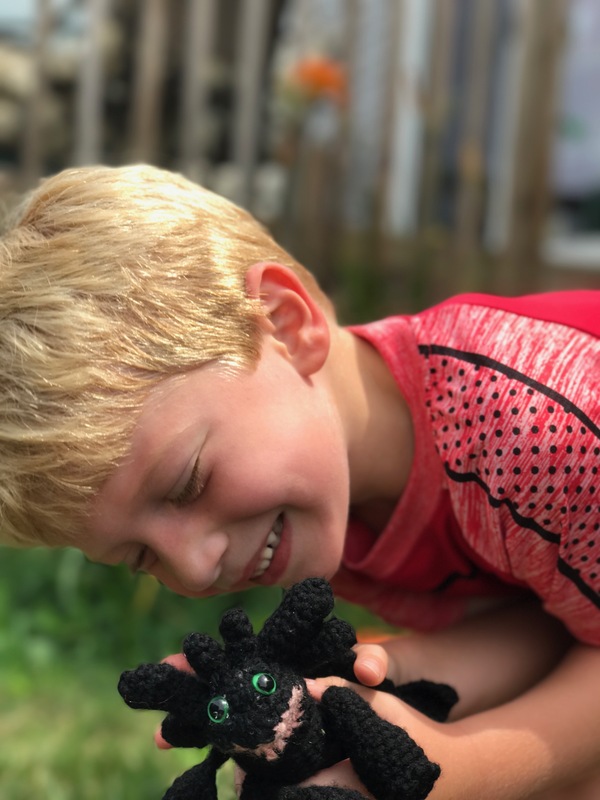 Elliot L O V E S the How to Train Your Dragon series. 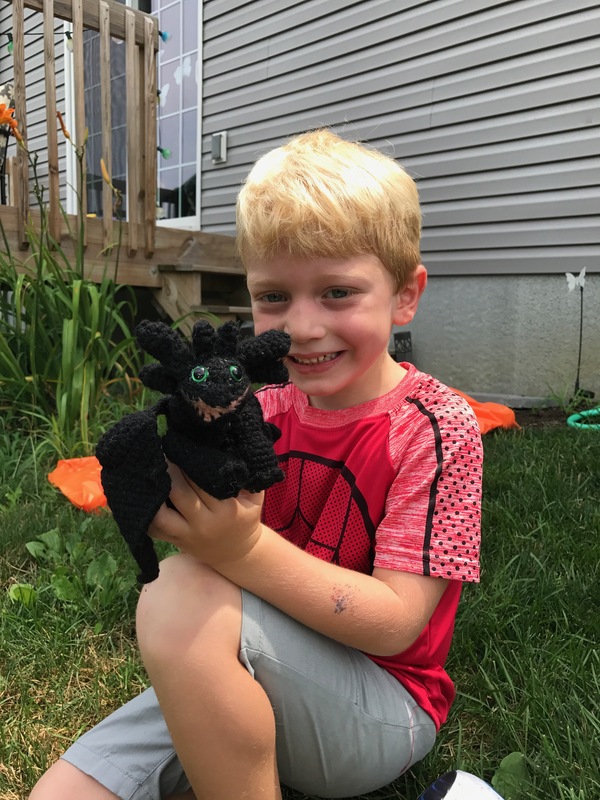 I attempted Toothless the Dragon by tiny alchemy. Her patttern is available on Etsy. I would say that it is ok. 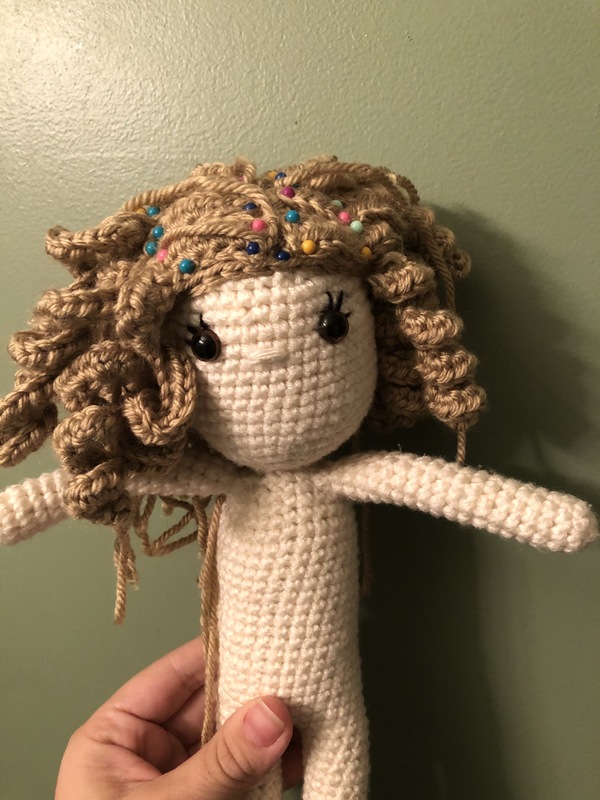 I need a little more visual, especially for a complicated amigurumi project. It didn’t look as good as the original but the boy was happy with it so that’s enough for me. I love this little buddy and I’m glad I could make his birthday special!